Welcome to the Office of the Lieutenant Governor and to Government House, the ceremonial home of all British Columbians. The Honourable Janet Austin was sworn in as the province’s 30th Lieutenant Governor in 2018. The Lieutenant Governor is appointed by the Governor General acting by and with the advice of the Queen’s Privy Council for Canada. Lieutenant Governors are normally appointed for a period of not less than five years. The Governor General represents The Queen in Canada while Lieutenant Governors represent Her Majesty at the provincial level. Learn more about the roles and responsibilities of the Lieutenant Governor. 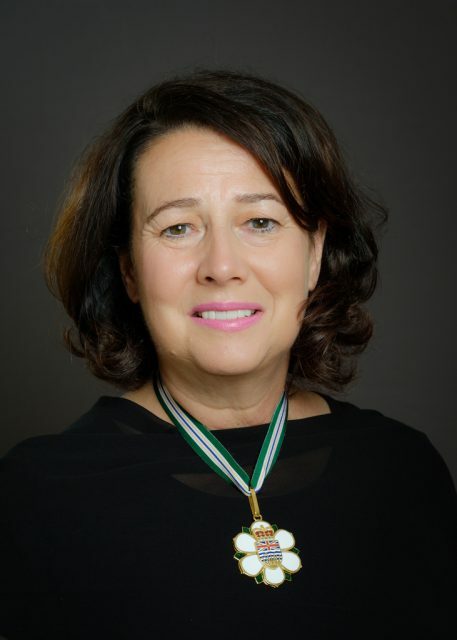 As part of her role as Lieutenant Governor, Her Honour travels extensively throughout British Columbia to celebrate, inspire and connect the people of the province and is invited to and attends hundreds of events each year. She also hosts events at Government House in Victoria, the ceremonial home of all British Columbians. Learn more on how to invite the Lieutenant Governor to attend your event or to host your event at Government House, or how to request a message for an event from the Lieutenant Governor. Her Honour is honorary patron of worthy endeavours, as well as many community, military and cultural associations, as well as public service organizations and in select circumstances, events. Learn more on how to request patronage from the Lieutenant Governor. Government House is the home of the Lieutenant Governor, located in the heart of the Rockland neighbourhood in Victoria, British Columbia, on the traditional territory of the Songhees and Esquimalt First Nations. While the House is a private residence and closed unless for special events, the grounds are open to the public year-round from dawn to dusk. Learn more on how to visit Government House.